Isabel and an Aussie friend. 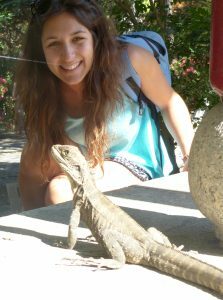 For my PhD I am examining the role of cognition and behavioural flexibility in invasions, using lacertid lizards as a model. Check out Isabel’s papers on Google Scholar.